This past Friday, I led my 15th class within my meetup group. Fall colors are just starting to show on the Tidal Basin beneath the Washington Monument and Jefferson Memorial. In between instruction, I went for two shots, one normal and one panorama. Enjoy! 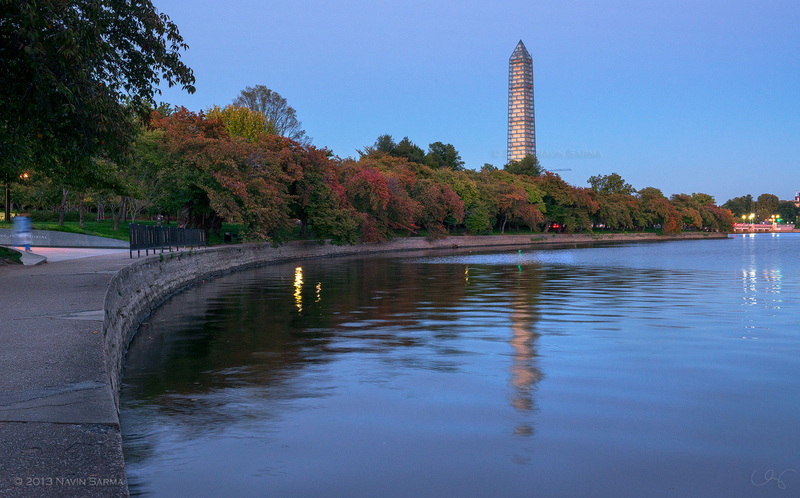 Fall colors start to turn at Washington, D.C.’s Tidal Basin in front of the Washington Monument. During a blue and pink sunset, fall colors start to turn at Washington, D.C.’s Tidal Basin in front of the Washington Monument and Jefferson Memorial. Do you give workshops or conduct individual classes?